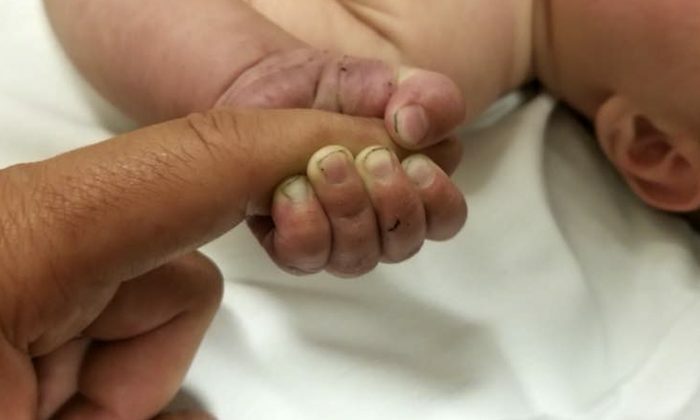 A 5-month-old baby who was buried beneath a pile of sticks and debris in Montana was rescued at least nine hours later. Francis Carlton Crowley, 32, was arrested following the incident over the weekend, according to the Missoula County Sheriff’s Office. “Crowley will face felony charges after leaving a 5-month-old baby alone in the woods for at least 9 hours, possibly more, buried under sticks and debris,” the office said, adding that the child was found face-down in a soiled, wet onesie as temperatures hit around 45 degrees Fahrenheit. The child, according to the sheriff’s office, had minor scrapes and bruises but is in good health. Detectives are now investigating the matter, the office said. Police said that when Crowley, who seemed intoxicated, was located, he allegedly made statements that the child was buried somewhere in the mountains. Search and rescue officers and United States Forest Service officers came together to find the child. Custody of the child was referred to the Division of Child and Family Services. On Sunday, Crowley was being held on $50,000 bail on a charge of criminal endangerment. The office said that other charges are pending. “On a more personal level, we want to take a moment to thank everyone who has played a role in this, even the smallest. Law enforcement officers can have a dreary outlook on life at times. Calls come in and you see people at their absolute worst day after day. But over the weekend, out of so much darkness came a little light. A baby was found … alive,” the office said in the statement.